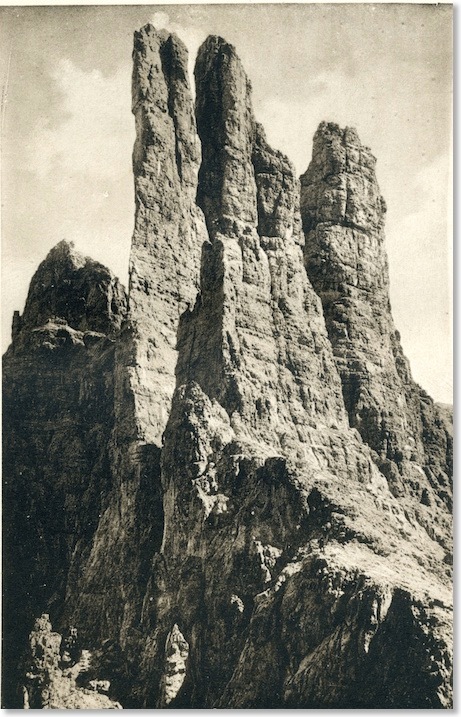 I remain surprised at the inclusion of the view of the Vajolet Towers from the west in the Zardini collection. The same photo is used in both editions of the guides. 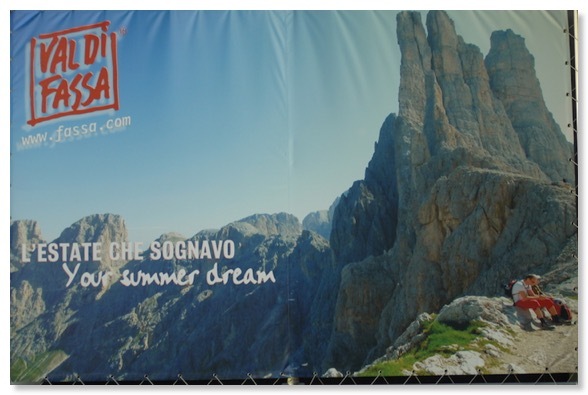 They sit at close to 2,700 metres, tucked away on the long Catinaccio mountain ridge. 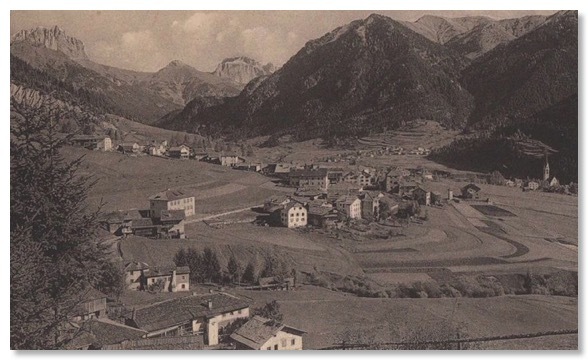 Moreover, they are all but invisible from the Great Dolomite Road, and are dwarfed by bigger mountains on every side. My shot is a cropped section of a photo I took some time ago. I found I had to stretch the verticals in it to come even close to how Zardini had made the Towers look. Artistic licence being taken many years before Photoshop etc! 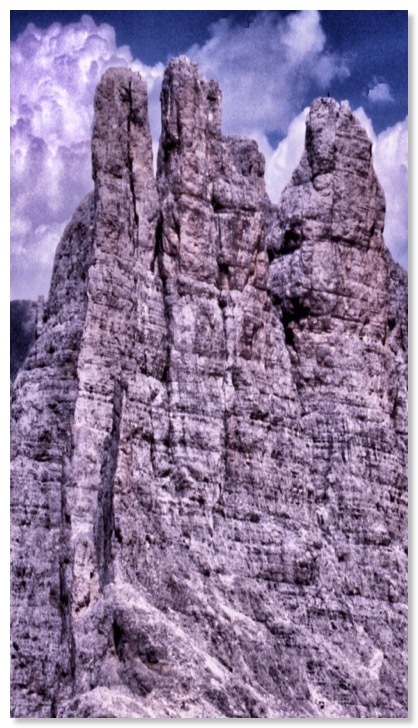 Today, the Towers have become popular rock climbs, but they are usually reached from the east (Gardeccia) side. Sadly, low cloud and the end of season cessation of a crucial chairlift prevented my own visit to the Passo Vajolet, from which the Zardini photo was taken, in both 2011 and 2013. 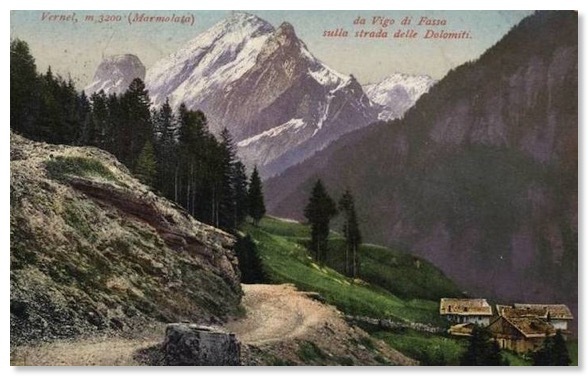 Vigo sits at the foot of the Costalunga Pass. 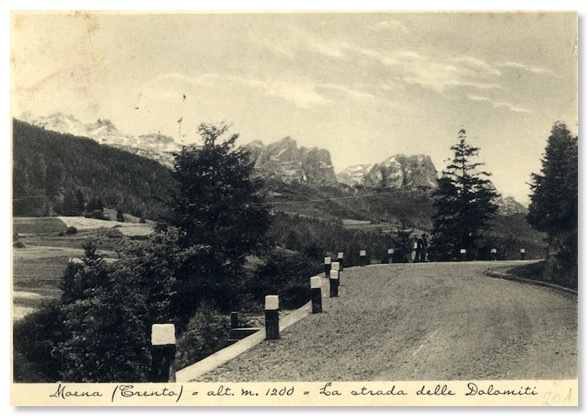 It was my base for a lot of the 2011 fieldwork for this web site, but at that time I was unaware of the existence of the Cortina to Bolzano edition of Zardini’s guide, and did not take any photo to compare to the one above. 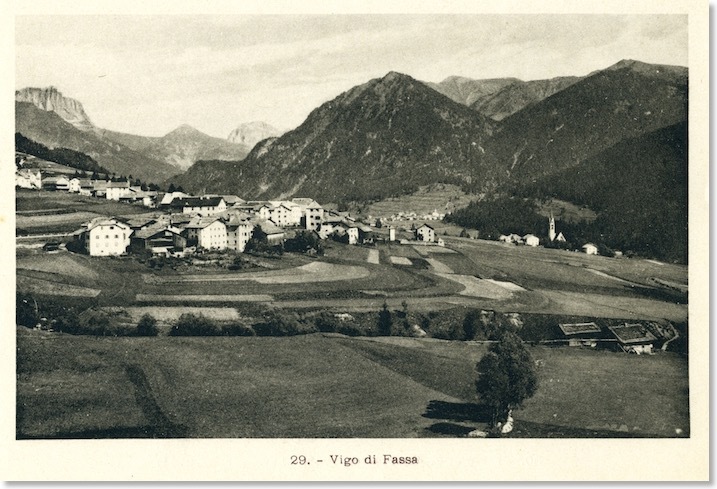 However, in 2013, when I tried to establish the viewpoint for either of the two shots above, the extent to which Vigo, its hotels and its roads, had expanded became very evident, and I failed to find a satisfactory viewpoint. Another time, perhaps.